Cuba’s telecom operator will offer 3G data service to prepaid users, but with high-tariffs one question remains; can any of the locals actually afford it? The previously isolated communist state has undergone gradual reform since the more pragmatic Miguel Diaz-Canel took over at the helm, and one of the goals is to catch up the rest of the world on internet adoption and to develop an information society. As an important step towards this direction, Cuba’s the state-owned telecom operator ETECSA (Empresa de Telecomunicaciones de Cuba S.A.) announced (in Spanish) that the company will start offering 3G data services to its prepaid customers from 6 December, one year after it started offering internet connections to residential locations. Before that, most Cubans could only go online from internet cafes. 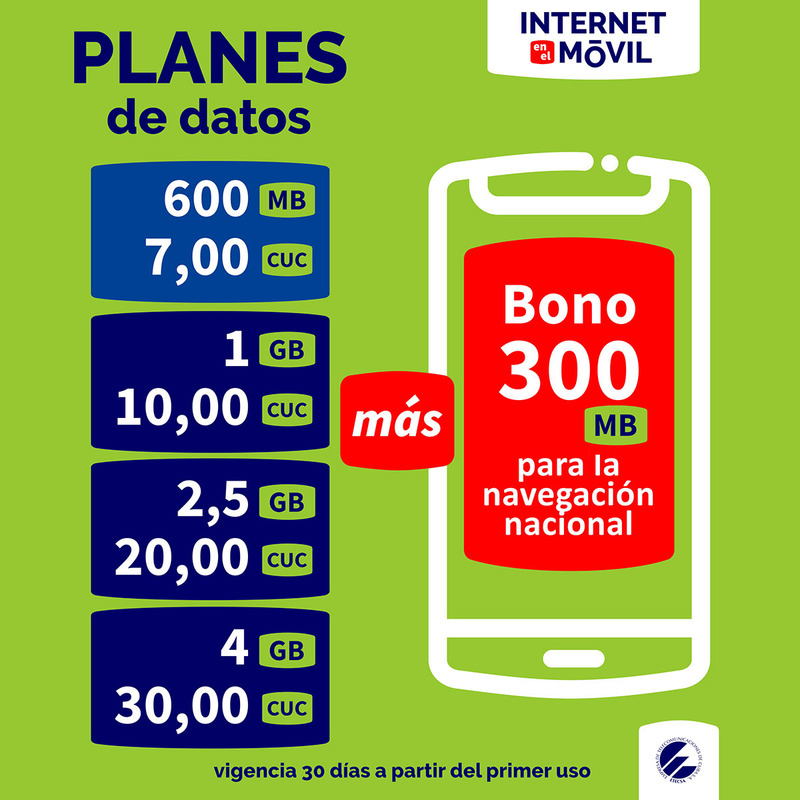 The monthly packages (in Spanish) start at 600 MB data which will cost 7CUC ($7), going up to 1 GB (10CUC), 2.5 GB (20CUC), and 4GB which will cost 30CUC. Another 300 MB will be granted for free on top of all packages for visiting local website (domain .cu). Otherwise, 1CUC can get 50 MB For email use only (on ETECSA’s email service Nauta). The service is on 900 MHz only, meaning handsets will have to be compatible to that specific frequency. Users applying to use the service can activate directly over-the-air with the operator. There is no recent data on Cuban income from sources like the World Bank. Earlier data showed the average monthly salary was about $27 to $32, though independent survey and research have indicated that many locals do make extra income through different channels. Even with the additional income, the data packages are way too high for most users. Research in other emerging markets has shown that the adoption of broadband will take off when the cost of the package reaches below 5% of monthly disposable income. The operator could be pricing its packages to limit the number of users, as its networks are not capable of coping with high traffic volume yet. As the national monopoly, ETECSA has installed 1,078 2G base station, and 789 3G base stations, according to its published data. In its announcement the operator also warns users that in the first days of the service there may be down time, and asks consumers to inform the operator through official channels. According to research by Ovum, mobile penetration in Cuba went just over 44% by the end of Q2 this year. The country’s internet population (“permanent internet accounts”) has reached 1.9 million.